The history of weapons is an interesting one. Throughout the ages, mankind has constantly strived to create better and stronger weapons to have an advantage over enemies. Some people have done this in order to defeat and conquer, while others have done so to defend. 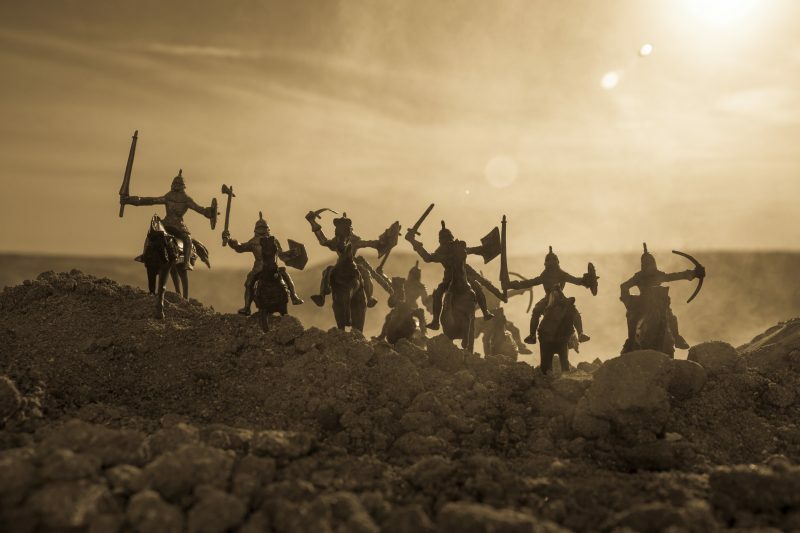 Technical advantages in weaponry always gave a kingdom, nation, or tribe superiority on the battlefield. This can be seen most clearly through major conquests. More than the might and valor of their warriors, conquering leaders depended on superior weaponry and tactics to defeat those they wished to conquer. Some of the greatest victories in history can be attributed to these advances in technology. The Roman Gladius, the double-bladed sword, coupled with their battle phalanx gave them the ability to conquer most of Europe, the Middle East, and North Africa. The steel weapons and armor of the Conquistadores allowed Hernan Cortez and just over 600 men to conquer the Mayans – tens of thousands of people spread over all of southern Mexico. In more recent times, German tank superiority and the tactics of the Blitzkrieg allowed Hitler to take over most of Europe before he was stopped. While these major advances in weaponry gave a great advantage to the conquerors, the vast majority of soldiers on most battlefields fought without them. Usually, only a few chosen warriors had the newfangled weapons. Even in the early days of Hitler’s Germany, he didn’t have that many tanks; the vast majority of his forces were infantry. Yet there were enough tanks that Poland’s horse-borne cavalry didn’t stand a chance against them. We’ve all seen images of medieval warfare in the movies. Warriors dressed in armor and armed with swords and shields would go at each other in a bloody free-for-all. But, as with many Hollywood scenes, this is not exactly an accurate image of what happened. 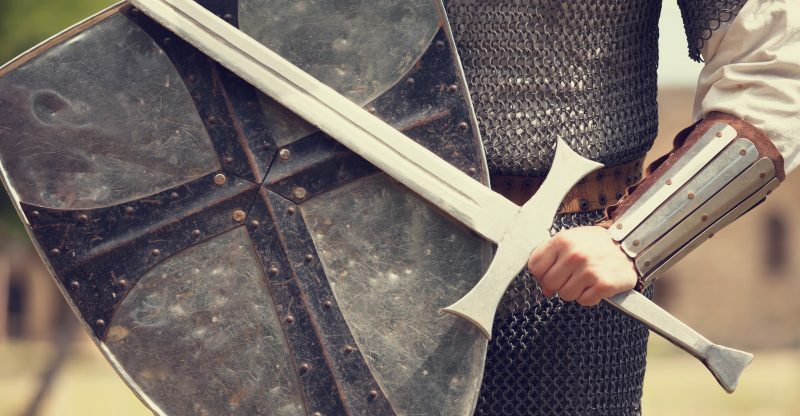 Armor and weapons were expensive – way beyond the ability of most to afford. So, other than knights and noblemen, the only ones who had those were the small standing armies of the day. This gave a distinct advantage to attacking armies, which were comprised of soldiers. It also meant that the defenders, especially the common peasants, fought with what they had. For the most part, that meant fighting with tools. These tools were mostly referred to as “melee weapons.” A “melee” is a fight at close quarters, so these are weapons that are intended to be used at close quarters. They essentially extended the reach of the user, giving them a faster swing and usually adding some sort of metal head to increase the damage they could cause. While swords are technically melee weapons too, a good sword is much more difficult to make than an ax or war hammer. The thinner blade of the sword requires better steel so that it won’t break too easily when used. By comparison, axes and hammers have shorter heads and are much thicker and cruder, requiring less time and less refinement by the smith that makes them. This reduces the time it takes to make them and thereby reduces their cost. This is not to say that versions of these tools that were made to be weapons were just as crude as those intended as tools; they weren’t. 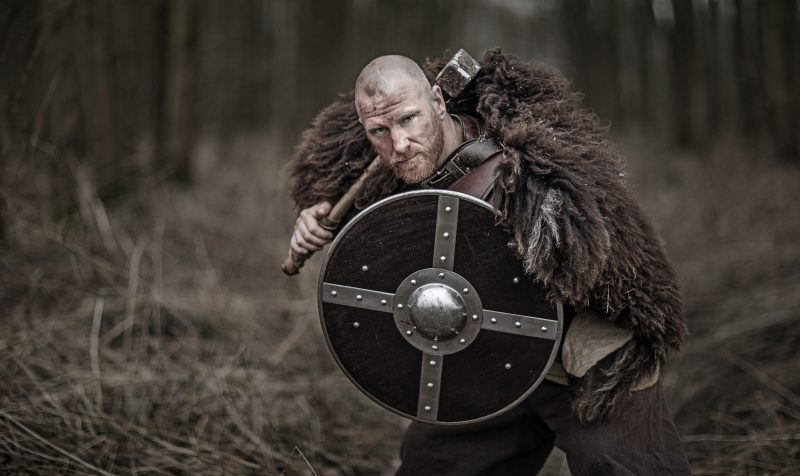 Soldiers and noblemen who used battle axes and war hammers had the best that they could buy, but the common people didn’t have those for their use; they couldn’t afford it. This isn’t to say that those tools used as melee weapons were totally ineffective. The reason they used them is that they were effective. They were the most effective thing that the average person had available to them and could be used against other peasants, professional soldiers, and the knights in shining armor. Actually, it was armor which made crushing weapons like war hammers and maces popular. 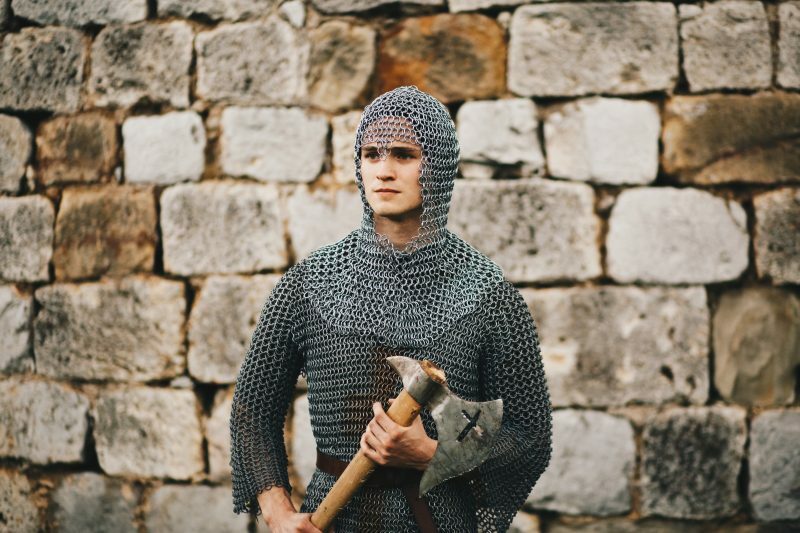 No matter how good a sword you had, you couldn’t cut through plate mail with it. Two knights so attired and armed could battle all day long and the only injury they might incur would be a pulled muscle from swinging a heavy sword for so long. On the other hand, if you managed to knock that armored knight on the ground and went after him with everyday woodsman’s axes and blacksmith’s hammers, you could kill him. Those weapons could crush the armor, which would be pushed into the knight’s flesh to cause injuries. If the breastplate was crushed, the knight wouldn’t be able to breathe and could die of asphyxiation. When wielded against those who weren’t so armored, the weapons could break bones and inflict other injuries as well. As with all warfare during any time of history, the key is how the other guy is armed and what armor he is wearing. Going up against a guy who has better armor and armament than you did is always dangerous unless you manage to outnumber him or have superior skills. But then, most of these people had little choice: they could either fight, capitulate, or be slaughtered. There really wasn’t any other option. There are lots of people in the prepping and survival community who talk about different sorts of melee weapons – making their own or practicing their use. I really don’t have a problem with this as the more weapons any of us are proficient in, the better off we are. But, on the other hand, I have to question the practicality of arming ourselves with tomahawks or battleaxes. The possibility that we will reach a point where ammo becomes scarce is real. But if we believe that, why aren’t we stockpiling ammunition? I don’t know about you, but I’ve got a few thousand rounds sitting around. So, if we are stockpiling ammunition, why are we also stockpiling these weapons? I believe in using the best weapon I have available to defend myself with. I’m not going to use a battleax against a zombie hoard or a hungry mob just because they don’t have guns. I don’t feel that I need to “play fair.” I’ll use my guns until they break or until I run out of ammo. Considering how much ammo I’ve got squirreled away, I’ll probably be long gone before I run out. While I don’t spend money on buying reproduction battle axes and other melee weapons, I follow the Jackie Chan school of weaponry: that is, anything and everything can be a weapon if you don’t have anything else to use. So, whether we’re talking a sledgehammer or an ax, I’m ready to use my tools as melee weapons too.